Looking for group accommodation for a night out in Galway city but don’t fancy breaking the bank? Look no further! Located only a short distance from the city centre and all of Galway’s famous pubs, clubs and restaurants, Corrib Village is the perfect option. A variety of self-catering apartment types are available, some of which accommodate up to 6 people. 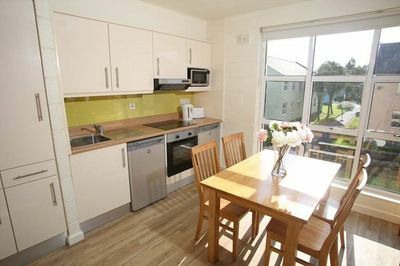 Apartments include a kitchen/ living area, a variety of bedroom types and either shared or ensuite bathroom facilities. Guests can avail of our free, 10 minute shuttle bus service to/ from the city centre, which drops off in Eyre Square, the heart of Galway’s buzzing night life, as well as free parking and complimentary Wi-Fi! So, if you’re planning a night out on a budget, think Corrib Village!